For those that don’t use Google Analytics on a daily basis or don’t have a good understanding of the tool, Google has a solution! 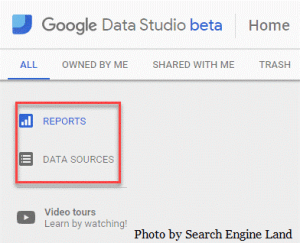 Currently in beta, Google Data Studio will create reports that your clients can even understand. It’s part of the Google Analytics 360 Suite, which typically comes at a price, but Google is giving a taste to those who use the free version of Google Analytics. Google Data Studio provides all the tools you need to transform clients’ analytics into reports that are easy to read and comprehend with data visualization. From bar graphs to charts, these reports can be customized for each of your clients and are extremely easy to share and read! One of the great things about Google Data Studio is that not only can you show Google Analytics, but if you enter data into a Google Doc, it will pull it in. If your data is updated, the reports will also update so that they are always current. Like Google Docs and Sheets, clicking the “Share” button gives your clients or coworkers access to the reports. To begin using Google Data Studio, login with your Google Analytics account information. If you’re using the free version of Google Analytics, you’ll only be able to use a limited version of Google Data Studio. With the free version, you’re able to create up to five custom reports. There are sample reports so that you can see what type of information can be pulled in and displayed. 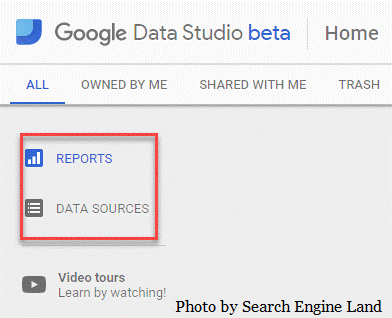 Click the “Welcome to Data Studio” link for a step by step tutorial on how to use Google Data Studio. There’s also a video from YouTube with an overview and instructions for connecting sources. On the homepage, you’ll see Reports and Data sources in the top left corner. Reports is where you’ll generate your data visualizations or reports. Data Sources is where you’ll connect your different sources such as Google Analytics, AdWords, etc. 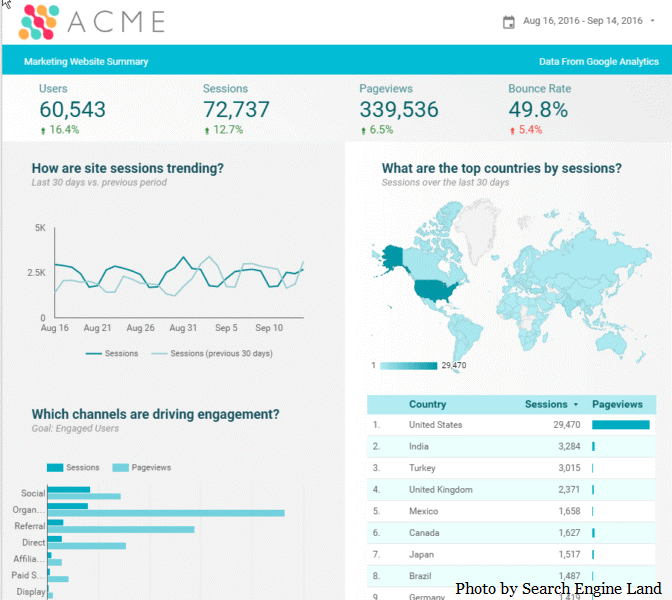 You can now start adding various metrics for your clients to view. For those that don’t enjoy using spreadsheets, Google Data Studio is perfect for you! This is a great way to show your clients how your marketing efforts are succeeding and benefiting them.